WordPress is definitely the most popular CMS option to build websites. And, the reasons are obvious. It’s easy to set up and customize. Now, even though it’s designed as a blogging and publishing platform, its complexity has grown over time. Today, marketers use it to build different forms of sites, including online storefronts. If you already have a WordPress website and you want to use it for E-commerce purposes, you should consider integrating it with Shopify. Many online retailers choose this type of integration because of Shopify’s simplicity and personalization options. Most importantly, Shopify has already designed numerous integration features. In 2016, they built an official plugin for WordPress, but it was discontinued in 2017. WordPress users who still want to display their Shopify products on their site need to use Shopify’s Buy Button. So, why to use Shopify for selling on WordPress? And, how to integrate these two platforms to gain maximum results? Many marketers decide to build their online storefront on WordPress natively, installing e-commerce plugins like WooCommerce that have numerous awesome built-in features. 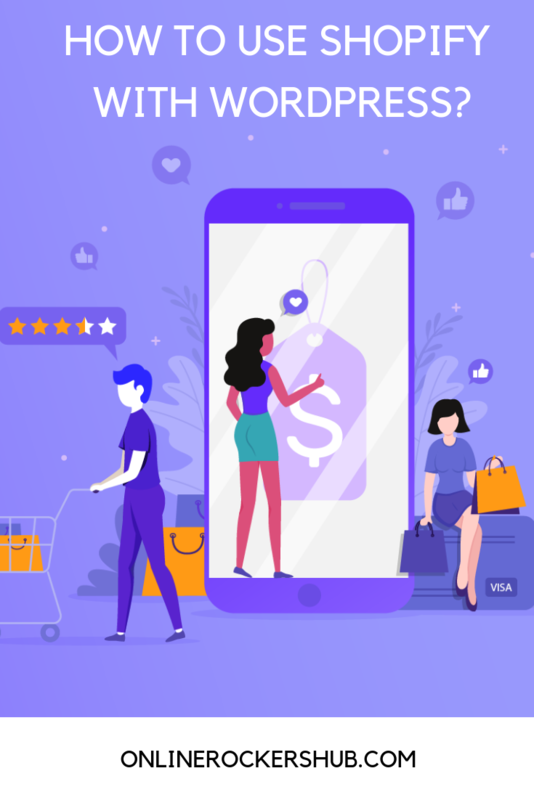 Even though these are some of the top ways to build an e-commerce store directly on your WordPress site, they still require lots of technical know-how and the advanced coding knowledge. This is where Shopify steps in, as a far simpler solution. With Shopify’s features like its Buy Button, you don’t have to turn your entire WordPress site into an online store. You can choose what products you want to display and how avoiding the complexities of managing an e-commerce website. Shopify also offers advanced security options. All online stores powered by this platform include an up-to-date SSL certificate to maintain the highest levels of security. They are also PCI-compliant, meaning that your customers’ sensitive data, such as their credit card information, is safe and sound. Multiple built-in payment options, including Visa, American Express, MasterCard, etc. 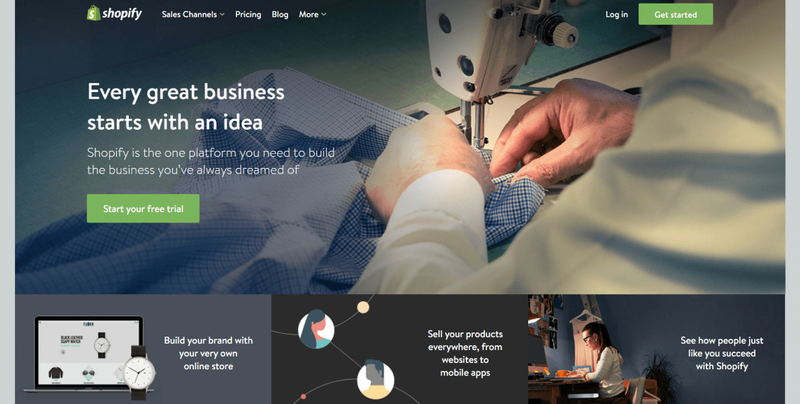 To integrate Shopify with WordPress, you first need to create your Shopify store. Now, I’ll walk you through some basic steps you need to take. First, click on the “Get Started” button on their homepage and enter your email address, password, and store name. Shopify will now ask you several general questions like your first name, last name, address to determine tax rates and currencies. For starters, the Shopify Lite Plan that costs only $9 per month may be the best option for you. Compared with Basic Shopify, Shopify, and Advanced Shopify, it’s far more affordable. Over time, as your needs and goals change, you can always upgrade your plans. Shopify’s BuyButton.js lets you add e-commerce functionalities to your WordPress site, without installing any additional plugins. It is one of the simplest ways to personalize the way your products look on your WordPress site. To activate your Buy Button, you need to find “Buy Button” under “Sales Channels” and click on Add Channel. 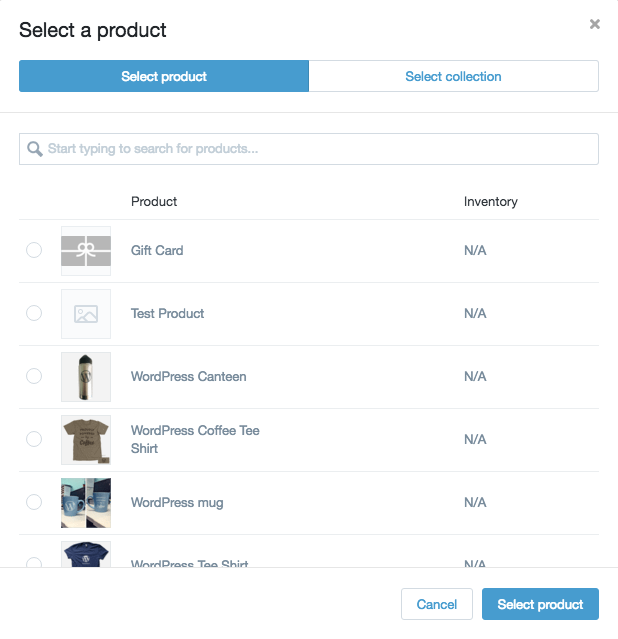 Generate code for a single product listing, using a “Select Product” option. Generate code for a product collection using, “Select a Collection“ option. In a dialog box, choose the collection you’re generating code for. Once you’ve made your choice, choose the “Select collection” button to proceed with customizing it. Just like with what I mentioned above, you can customize a Buy Button to your liking, including its alignment, size, and text. Once you’ve designed it, hit the “Generate Code” option. Shopify shared a comprehensive guide, where you can find the example of an embed code you can copy to your clipboard and clear steps on how to do so. Now that you’ve generated an embed code for your Shopify product or product collection, you can focus on a more exciting aspect of the job and that’s listing these products on your WordPress site. Now, there are two options you can choose. First, you can choose to list your products on your WordPress site pages. 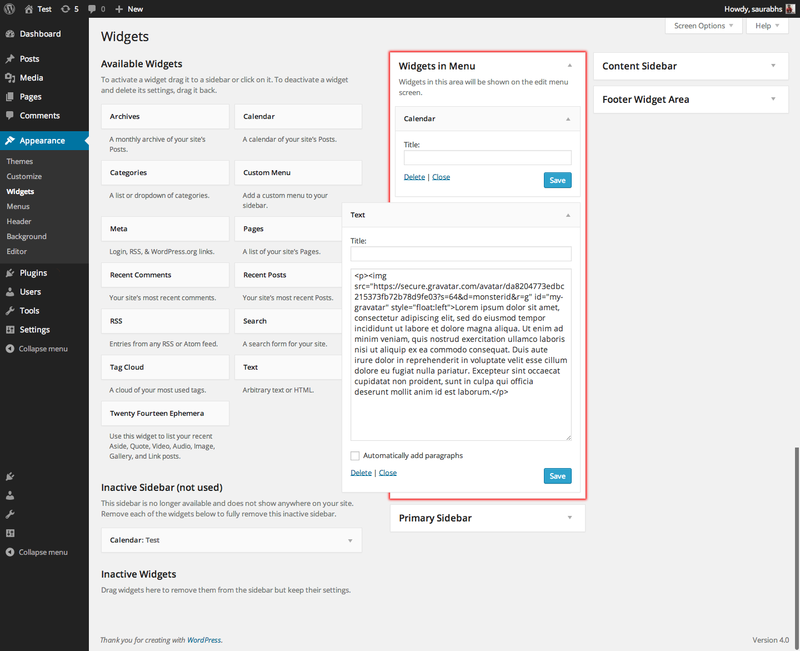 Go to your WordPress Dashboard and go to Pages> Add New. To make your product appear on this page, paste the embed code I mentioned above here. Second, you can list your products on a sidebar of your WP site. In this case, go to Appearance> Widgets> HTML widget and enter your embedded code into the “Content” section. 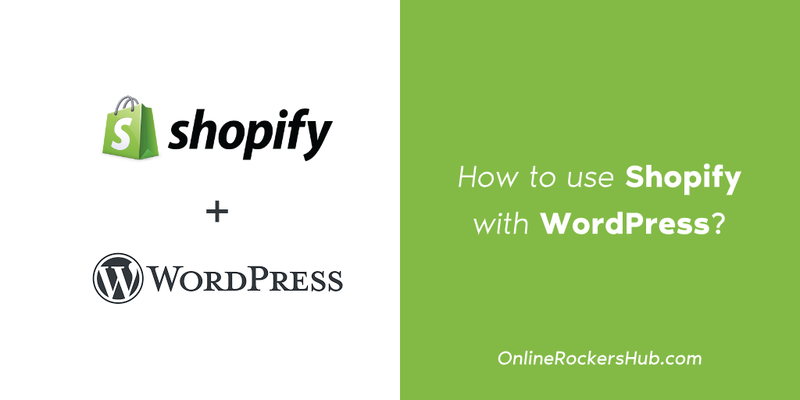 Integrating Shopify with WordPress lets you get the best of both worlds. With powerful e-commerce functionalities Shopify provides, you can now sell your products directly from your WordPress website and yet, keep things simple. Note: This is a guest post by Victor T. Miller. If you have an interesting WordPress tutorial to share with us, then proceed to our Guest Blogging Guidelines. If you find this tutorial useful, pin this. Thanks for the nice post, i will try to make it.